Immediate past Governor of Lagos State, Mr Babatunde Fashola, SAN on Saturday drew attention of members of the public to the antics of hackers, who compromised his twitter account @tundefashola and posted four tweets in a language that resembled Japanese. 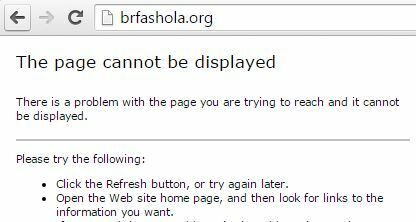 Early this morning, Vanguard gathered that all posts on Fashola’s official website http://brfashola.org/, and feeds redirected to the his Twitter account, @tundefashola appeared in a similar language (Japanese). The website as at the point of gathering this report can not longer be accessed due to ‘unknown technical problems’. However, a statement signed by his former Special Adviser on Media, Mr Hakeem Bello on Saturday, revealed that the twitter account must have been compromised on Friday, as members of the public, who follow the former Governor, started calling to draw attention to the strange tweets in the early hours of Saturday. It would be recalled that Governor Fashola also recently dissociated himself from a facebook scam, whereby some unscrupulous persons use his photographs and ascribe fictitious statements to him on fake Facebook accounts aimed at defrauding innocent people. The call became necessary for the umpteenth time, the statement said then, in view of the activities of scammers who have been issuing out series of Facebook comments and information in his name with the intention of during unsuspecting members of the public.